Montgomery County&apos;s countryside towns are hot-spots for hotcakes. February, as National Pancake Month, is an ideal time for exploring the area&apos;s talent for pancakes, in all their flavorful variations. 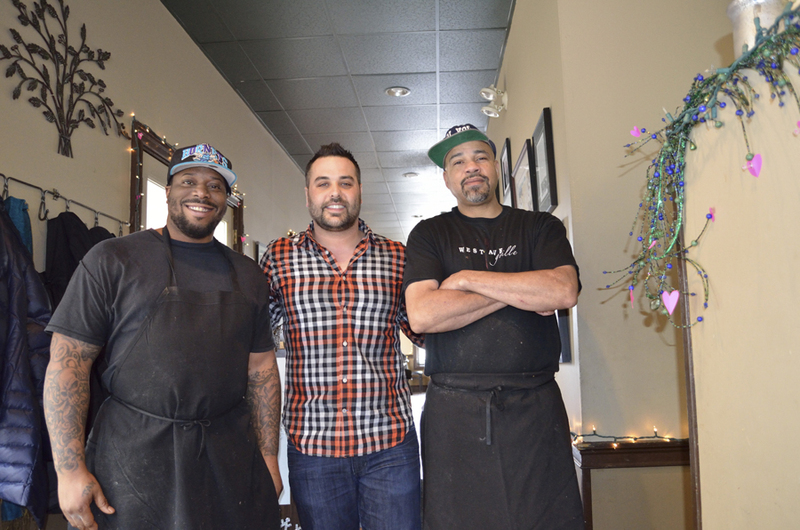 The chefs at West Avenue Grill (at both Montco locations, Jenkintown and Dresher) raise the simple pancake to an art form. The standard serving is perfectly suited to a drizzle of syrup and a dab of butter. But for more daring diners, other flavors cater to the adventurous. The Monkey Pancake, for instance, starts with a banana-coconut batter and tops the cakes with Nutella. A Healthy Nut pancake features granola, craisins, fresh fruit and a touch of cinnamon. The pancake pièce de résistance, however, is the S&apos;mores. A trio of cakes are united by layers of marshmallow crème, and the finishing sprinkle combines chocolate chips and a crispy crumble made from pulverized graham crackers. 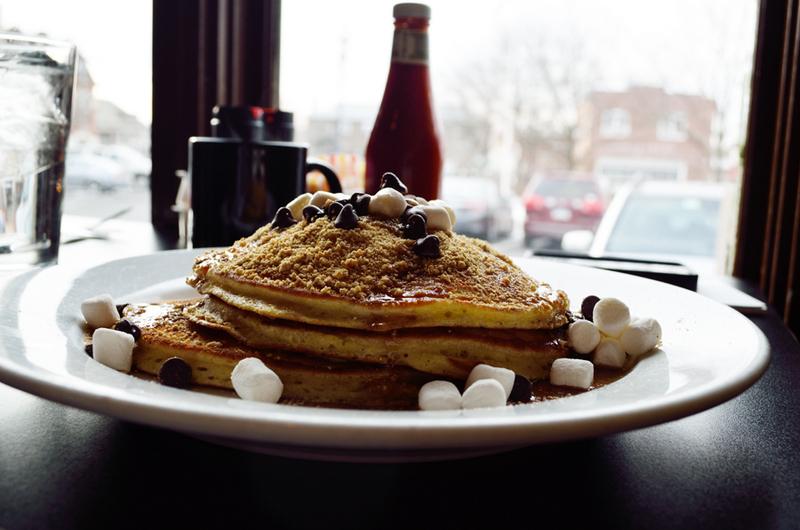 On a recent breakfast visit, the decision is easy to make, and I order the S&apos;mores. When Drew, my server, places it before me, he offers a friendly caveat: "Not a lot of people finish these...."
More out of habit than necessity, I douse the stack with syrup, but if I had thought it through, I would have skipped it. These babies clearly can stand on their own. I dig in. The cakes are airy and light and perfectly cooked, and the marshmallow, chocolate and graham provide a unique accompaniment that speaks easily of the namesake campfire dessert. A mug of fresh coffee helps keep me going, but about mid-way through the stack, I am losing steam. Drew checks in; I give him a huge grin and a thumbs up and take another forkful. But a few bites later, and I am sated. Moments later, Dan Katz, son of owners Bob and Hope Katz, joins me. "We have been in Jenkintown for 15 years," he tells me. "Our original location was across the street, but when we outgrew that space, this one became available and we moved. We originally served breakfast, lunch and dinner, but in looking to spend more time together as a family, we trimmed back to just breakfast and lunch." Clearly that focus is paying off. The crowd for a Tuesday morning is happily enjoying poached eggs, French toast and savory omelets - along with the fabulous flapjacks. The West Avenue Grill has a 13-year streak as winner of the Best Breakfast in Montgomery County, and a five-year history as a Best in Philly recipient. The walls are dotted with photos of well-known customers that include actor Bradley Cooper and newly elected Governor Tom Wolf. 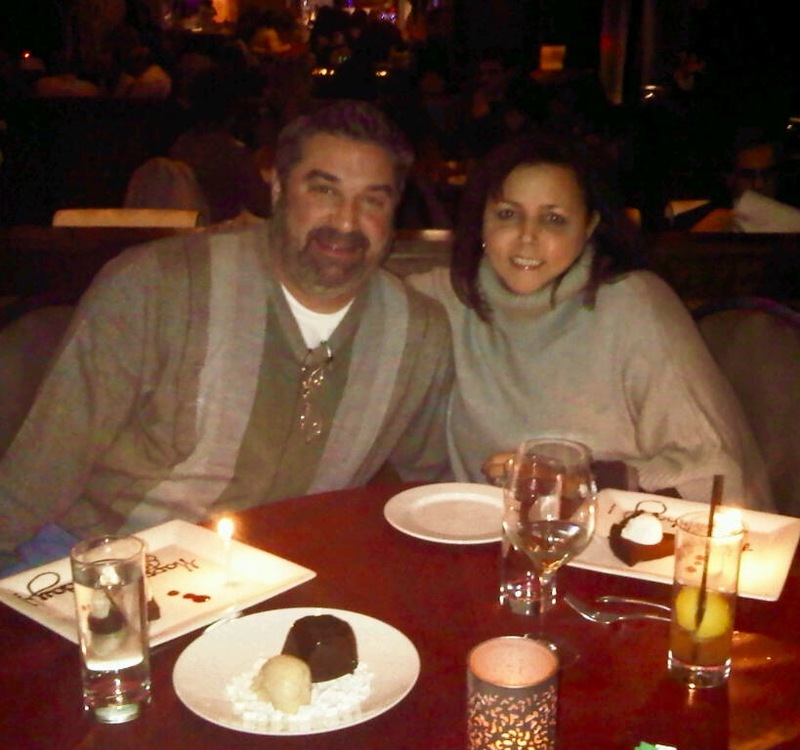 Dan Katz&apos; experience in the food industry goes back to the very beginnings of the restaurant. "My dad was in the insurance industry for a long time. But one afternoon, I remember him announcing that he was leaving the business to start a restaurant. I started as a dishwasher and moved up to cook and then chef and now manager." Pancakes are the best-seller at West Avenue Grill, thanks to a batter that contains a "secret touch," an ingredient Katz is unwilling to share. Whatever it is, it has become a favorite. The restaurant serves upwards of 750 pancakes a week, with Saturday and Sunday bringing the most fans. A morning meal out is a great opening to adventure in Montgomery County. As you explore all we have to see and do, don&apos;t let sundown mark the end of your exploration and enjoyment. Take a room at one of our fine accommodations, spend the night and keep the good times going. The VFTCB website recommends all the hotels, inns and B&Bs in the county, especially the romantic getaways associated with our current winter campaign.